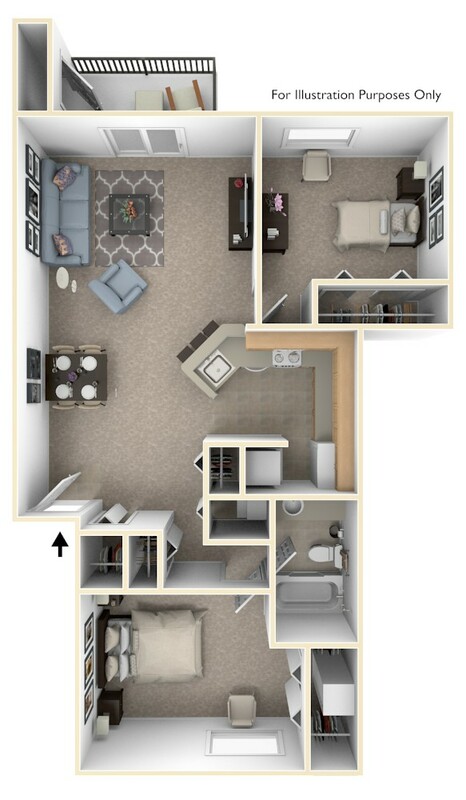 These contemporary apartments offer a variety of floor plans including a two bedroom with two baths, full-size washer and dryer, cathedral ceiling and distinctive half-round window above the balcony door. 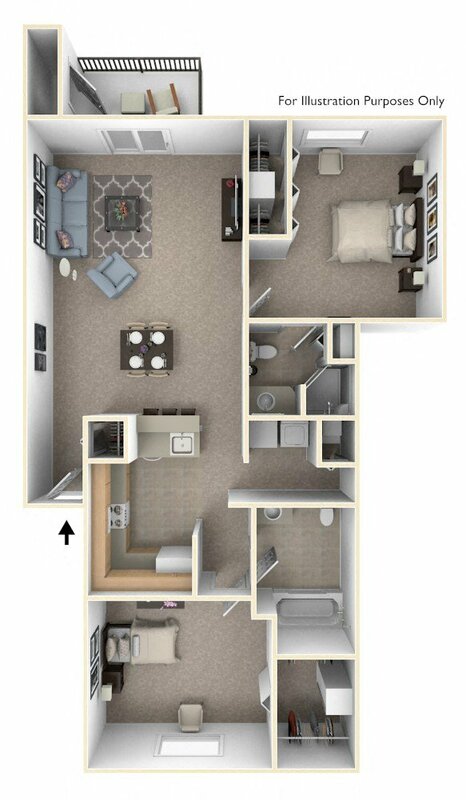 All apartments feature open floor plans in front-to-back layouts, meaning you have windows on either end of your apartment. End-style apartments have up to three additional windows and an enlarged living room. The European-style kitchens of these stylish apartments are popular with residents. Each includes a breakfast bar for grabbing a quick bite and dishwasher for your convenience. 12-, 6-, Or 3-Month Lease. 3-Month Lease Only Offered For initial Lease.